Expecting to you all for the 2018 F18 Europeans. 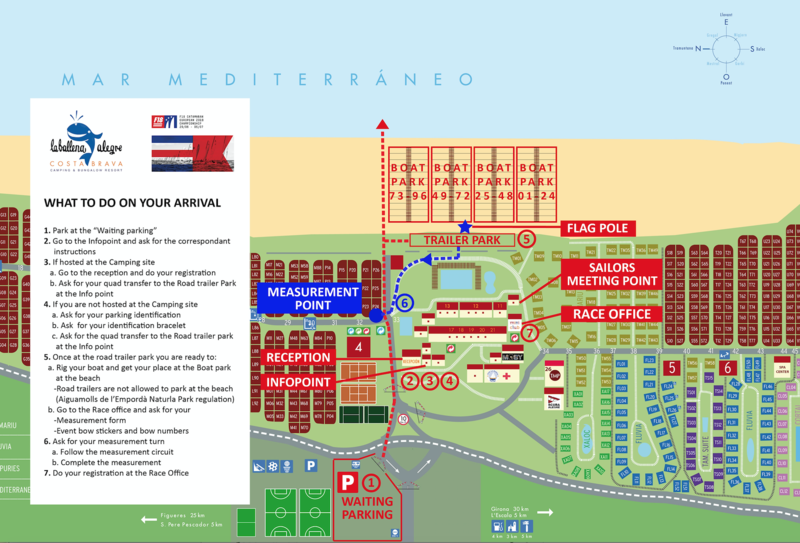 See the atached document, you can find the correspondant instructins to make your arrival better. Be aware that ther are still some bongalows available, facilities preferences will be given until Saturday 23rd. Any further information, please don’t hesitate to ask for. See you in Sant Pere Pescador. Pep Subirats i Vila – Regata director. Esta entrada fue publicada en Regata y etiquetada Catamarán F18, Europeo F18, F18, F18 España, F18 España Noticias por Catassur Catamaranes del Sur. Guarda enlace permanente.